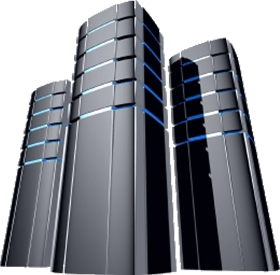 VPS – Cloud hosting for your company. Is your DSL or Cable going out and shutting down your station? Do you have dead air and are afraid of getting de-listed off of iTunes or Windows Media ? Then you need to get a VPS server. This gives you complete control of your station and peace of mind that your station will stay up. VPS stands for Virtual Private Server. It is functionally equivalent to a separate physical computer, is dedicated to the individual customer’s needs, has the privacy of a separate physical computer, and can be configured to run as a server computer (i.e. to run server software). No longer worry about the error message “Unable to send data fast enough, Encoding paused until buffer clears” on your SAM. Your DJ machine will be just a few feet away from your Streaming Server, connected by Fiber Optics. No more calls to your ISP complaining. No more calls to your Stream Host complaining. Just raw streaming power !! Why you should choose Shoutcast Streaming? We know Internet Streaming. ShoutcastStreaming started 10 years ago and have hosted thousands of stations on the Internet. We also host many AM & FM radio station, who trust us to deliver their fine music to their listeners. The most AM & FM stations hosted by any stream host. Our servers have state of the art protection again DdOS attacks. Your VPS will be housed within secure cages with redundant power and networking infrastructure. Keeping you online is our top priority. Have a problem ? Not a problem !! Get support via the Internet by LIVE Support or by our TOLL FREE phone support or put in a support ticket. Problem solved !! Our technicians each have over 10 years Internet Broadcasting. We also run our own stations. So you will never receive and answer like "not sure" or "I don't know" .. we do know. Compare that experience to other Hosts. Your listeners will appreciate the best possible streaming on the Internet. We have not had a server outage in all of 2015 or 2016. Keep on-the-air with no dead air. Quality you can hear. Because we use Dedicated Bandwidth (that we own) you will experience NO buffering.